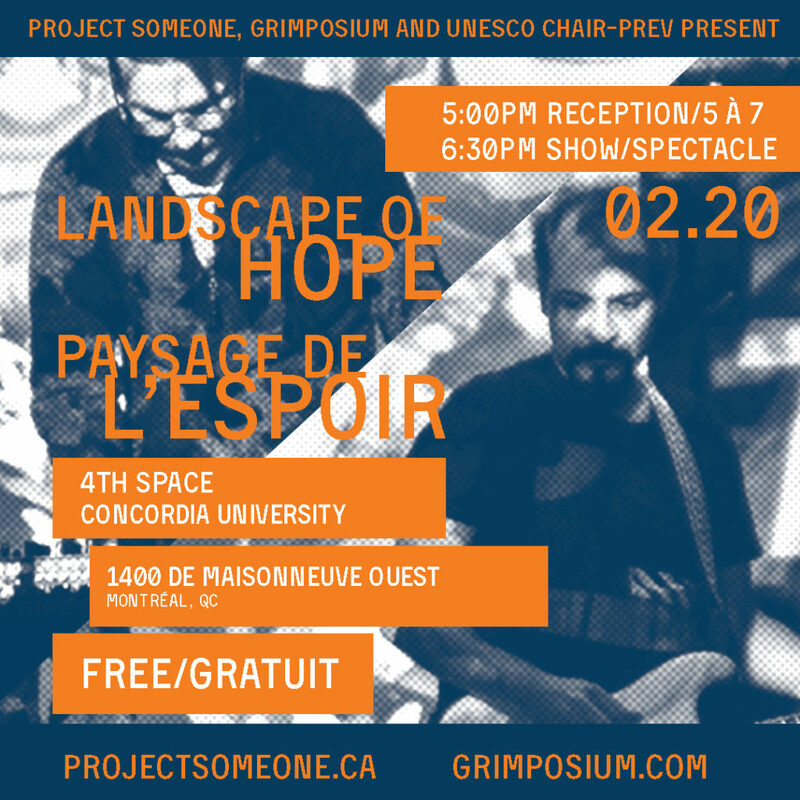 Freshly returned from their successful world premiere at the Arctic Pride Festival in Tromsø, Norway, the Landscape of Hope team, in partnership with Project Someone, Grimposium,and Unesco chair-prev, is pleased to announce its Canadian premiere on February 20, 2019. The show will be held at Concordia University, at the 4TH Space (1400 De Maisonneuve Ouest) with a reception at 5:00pm and show starting at 6:30pm. For more information click here or click here to view the Facebook event. What is Landscape of Hope? Landscape of Hope is a unique, evidence-based intervention that magnifies youth narratives as they pertain to building resilience against racism, discrimination, prejudice and cyber bullying. The digital art initiative is youth-led and designed to empower them with critical digital literacy skills and social media tools to create cutting-edge multimedia performances and installations that describe their experiences with hate, discrimination and cyber bullying. Our aim is to implement and evaluate a sustainable, multi-sectoral, culturally-relevant, youth-led approach to creating media-based narratives that accurately reflect youths’ lived experiences, with the ultimate objective of reducing instances of discrimination. To hear examples of the art produced in Tromsø click here or to learn more about the Arctic Pride Festival click here. Landscape of Hope is inspired by and derived from the work of the multimedia collective Landscape of Hate.